can be downloaded from the Iona Community website. 27 January 2017 which has been published on line by the Iona Community. 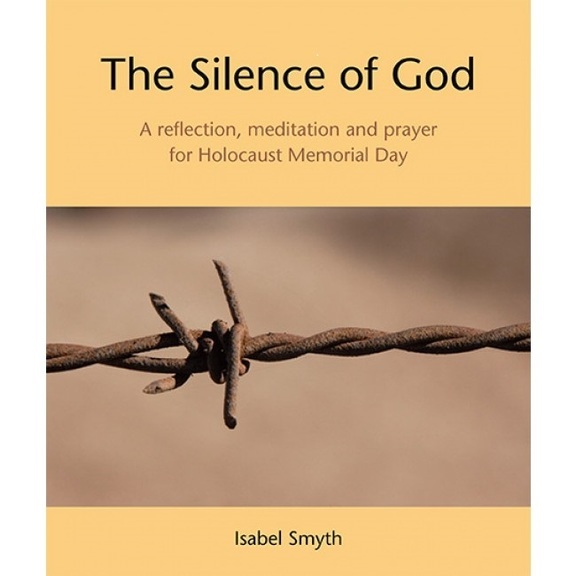 Digital download: A reflection and a short meditation and prayer for Holocaust Memorial Day addressing the often apparent silence or absence of God in desperate or unjust situations. This is a question not just for those who live through such events but also for all of us as we see on our TV screens the violence and atrocities taking place in many parts of the world. "The silence of God can be frightening and deafening in its reverberations and perhaps that is the reason people don’t like silence. This is particularly so in the face of great suffering and evil. We say in the Christian tradition that there is ‘no greater love that anyone can have than to lay down one’s life for one’s friends’ (John 15:13). This is true, but I wonder if there is not an even greater love, and that is to watch other people be discriminated against, suffer and die, to have one’s heart broken and be powerless to do anything about it – to live with unrequited love, misunderstandings in relationships, powerlessness to help or solve another’s problem. This can be like a living death, protracted over time. Shusaku Endo’s book Silence, now made into a film by Martin Scorsese, deals with this very problem. Where is God amid the struggle with apostasy, with the temptation to deny one’s truth and firmly held faith, not to save one’s own skin, though torture would make that understandable, but to save others from terrible torture and execution? Where is God in all of this? ..."
Isabel Smyth is a Sister of Notre Dame, with long experience in the area of interfaith relations. At present she is Secretary to the Catholic Bishops’ Conference Committee for Interreligious Dialogue, Secretary to the Council of Christians and Jews and writer of the blog www.interfaithjourneys.net.